You are here: Home / Uncategorized / What is I-CAR Gold Class Certification? We’re proud to be Gold Class certified! Wondering what that means? Let’s explain. The auto body repair industry is constantly changing as new technologies are introduced in vehicle manufacturing. New vehicles are being made lighter, stronger, and safer at the same time, and they accomplish this by making use of features and materials. Recent model years are built with advanced crumple zones, new types of plastics, aluminum body panels, advanced lightweight materials, carbon, advanced aerodynamics and more complex design. Of course as they become more complicated, the repairs are more complicated as well. The auto body repair industry needs to learn about and understand these new materials and technologies in order to be able to repair them safely and fully. Even in more straightforward repairs – although a collision repair is rarely simple – there are many factors that need to be taken into account, and a high level of skill is required to obtain a high quality repair. It takes a trained eye to see damage that is not immediately visible, and to determine what can be safely repaired and what must be replaced. I-CAR Gold Class certification is the answer to the need for ongoing training. It is the collision repair industry standard; I-CAR estimates that less than 15% of collision repair businesses in the United States meet this standard. Gold Class certification requires that technicians are trained in the proper repair techniques and procedures. 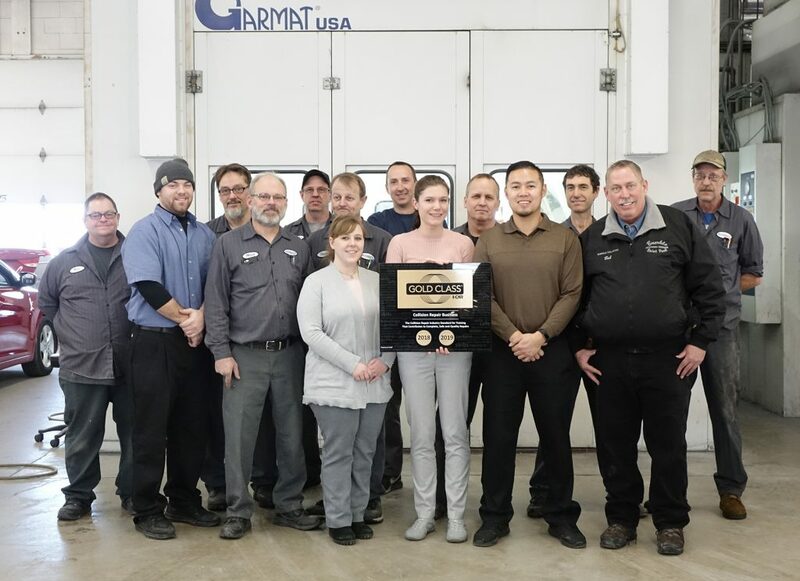 In addition to initial training and testing to achieve the certification, I-CAR also includes ongoing role-specific training specific for every employee who has a hand in repairing vehicles. We know that today’s repair knowledge is important for the safety of our customers’ vehicles and, most importantly, our customers themselves. We’re proud to have this certification to show our commitment to our customers!